There's something about a French toast breakfast that makes it luxurious. If you come to think of it, French toast is made of basic breakfast ingredients that we consume in the morning - bread, milk, eggs, sugar. But once they're all together in a caramelly, custardy slice of bread, everything works its own magic, creating a party in your mouth! 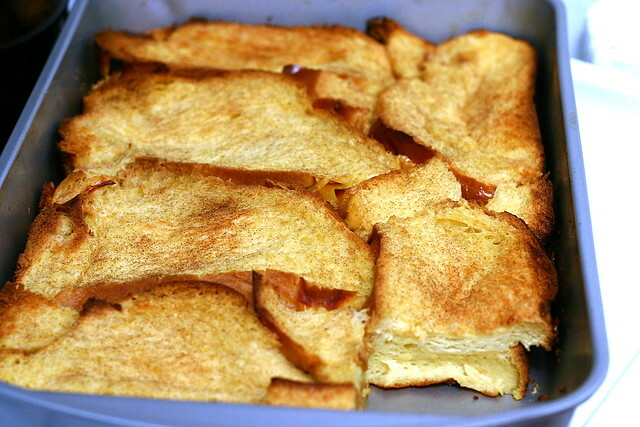 Try these awesome baked French toast recipes for a great twist on your favorite breakfast. "Yet, the absolute best thing about this approach to French toast, and the reason I was drawn to it in the first place is that in making it the night before, it’s the perfect guests-for-brunch food as you have none of that standing over a pan cooking individual portions mess while people wonder where their host is, and really no work to do at all on the day of." 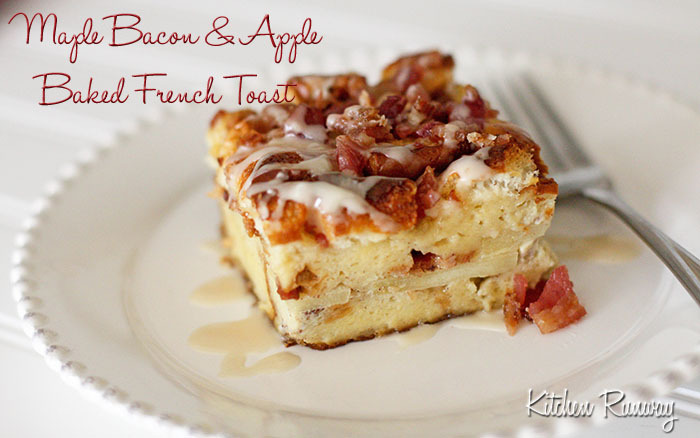 "What makes this French toast special is the addition of maple bacon and Fuji apples. The bacon adds a layer of sweet maple flavor and saltiness to this dish. The apples helps cut the richness and is a wonderful compliment to the savory bacon." Want to be exact with ingredient measurements? A digital kitchen scale is a very useful tool for foodies who prefer following recipes to the dot. It's also a great device to have for successful baking! "HEAVEN in stick form! Crispy outside, fluffy inside, and oh, how adorable, they even gave you a mini syrup package for dunking." Make cooking time a lot easier and more enjoyable by using good quality silicone baking mats. Not only are silicone mats sturdy and durable. Because they're non-stick, you can also cut your clean up time in half.